Meetings give the opportunity for girls to work in small groups. Our focus is on girl led guiding with girls inputting into the programme through Rainbow Chat, Brownie Pow Wow and the Guides Patrol Leader’s council. The current Girlguiding programme is in the process of being updated and we look forward next year to more adventure and challenge and fantastic new resources and experiences as requested by the girls. Some of these resources are currently being tested by units in Stockport. 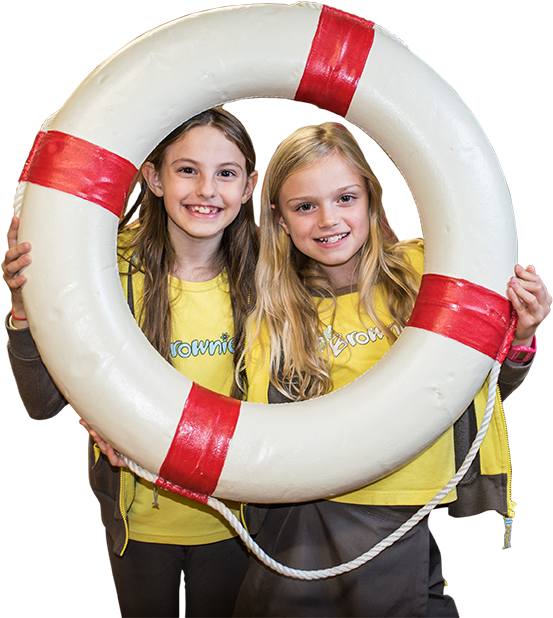 An experienced team of advisers put together a number of county events each year so that each unit can have the opportunity to experience guiding with other girls from across Stockport. County events give opportunities to explore the Great Outdoors – Walking in the Hills above marple during uphigh, climbing windgather rocks during the summer sunset or filling the plaza for an exclusive showing of the pantomime our events are designed with the girl in mind and to give a wide range of opportunities. Events are also arranged for leaders, Stockport Celebrates is an annual event with an opportunity to celebrate long service and and other awards. Leaders weekend is a bi-annual training and social event, training walks, craft mornings and other activities ensure that leaders too have the opportunity to develop their own skills and knowledge whilst making new friends and having fun. More information about events that have happened can be found in the news section. Often the residential experiences that Girlguiding can offer is the most memorable and exciting part of a girls guiding journey. Rainbows love their sleepovers and Brownies enjoy Pack Holidays on a theme of their choosing, Harry Potter seems to be popular at the moment but others include Disney, Alice in Wonderland, Under the Sea and Sweetastic. Guide holidays can be indoor or camping and sometimes involve travelling abroad. The girls doing their Baden Powell award are challenged to an overnight adventure with other girls not from their unit and this year have been offered a Canal boat adventure and wild camping experience amongst other things. We are also very fortunate to have our own residential property in Stockport. The Inns at Rowarth which provides a unique away from it all experience in beautiful surroundings whilst still within touching distance of Stockport itself. Girlguiding isn’t just happening in Stockport or even just in the UK, there are over 10 million members in 145 countries Worldwide, so wherever you are you are never far from another member of WAGGGS (World Association of Girl Guides & Girl Scouts). Giving girls an International experience is something we are really passionate about in Stockport and we love giving girls the adventure and challenge that is involved in an adventure abroad. Unit trips over the last couple of years have included Brownie visits to Paris, Guides travelled to a Scout Jamboree in Holland and our Senior Section members had Adventures in Copenhagen. Senior Section is where the girls really get the opportunity for some serious globetrotting. We are very excited and proud in Stockport to have 5 girls and 1 leader going away this summer on North West Region trips to India, Zambia, Armenia and Finland. The girls will have an opportunity to experience new cultures whilst making a long term impact in the local community through projects such as reading initiatives and working with women’s charities. In Stockport we are offering a trip to Adelboden in Switzerland next year for an activity and sight seeing holiday that will include a trip to the world centre, Our Chalet. We also have units going to Disneyland Paris and Sweden. Girlguiding Stockport is proud to support the local community through a variety of projects. Guides taking part in their Baden Powell Challenge created essential items bags for a Women’s Shelter. In December 2016 we supported the Wellspring’s Rucksack appeal providing a van full of warm clothing, bedding and essential supplies to the homeless in Stockport.